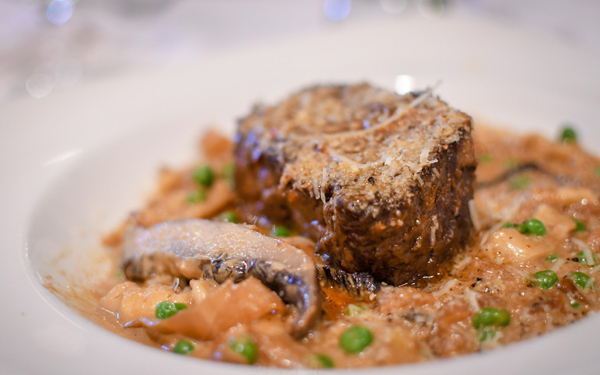 Curious what some of our favorites are this winter? 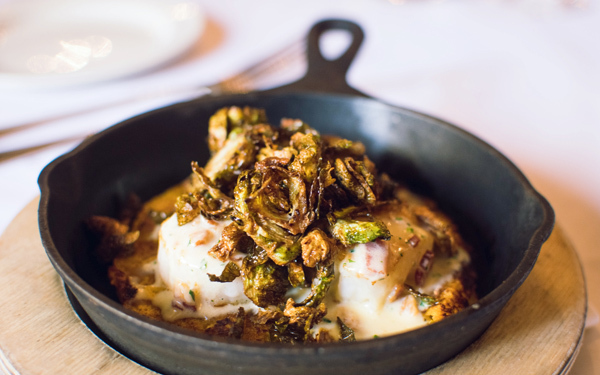 Executive Chef Kelly Franz and Executive Pastry Chef Mallory Ellis pick their menu favorites—warm and comforting with lots of stick-to-your-ribs goodness! finished with crispy Brussels sprouts. 10 P.E.I. 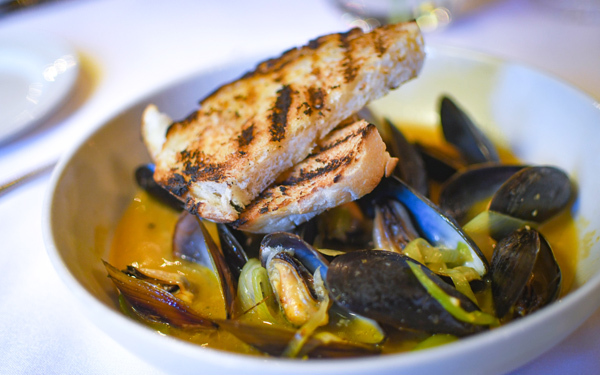 mussels sautéed with fennel, garlic, saffron butter and a lobster broth. Served with grilled bread to soak up all the delicious broth! 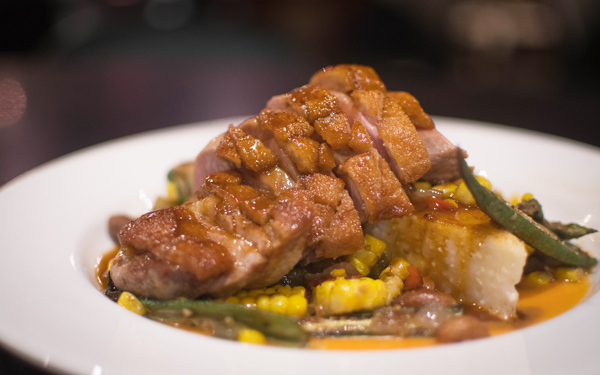 The duck is pan seared to medium-rare, then generously glazed with a sweet tea and demi-glace reduction. complementing the saltiness of the boiled peanuts and the sweetness of the reduction. sweet peas, caramelized onions, red wine jus and a dollop of sour cream. Wonderfully rich, the dark chocolate cheesecake is topped with housemade marshmallow that is toasted to order. 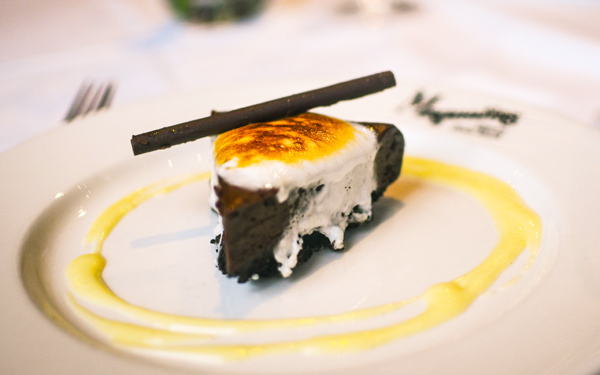 The cake has a chocolate cookie crust and is served with a marshmallow anglaise. Grand Marnier and orange buttermilk cake with a cream cheese custard and fresh cranberry compote. 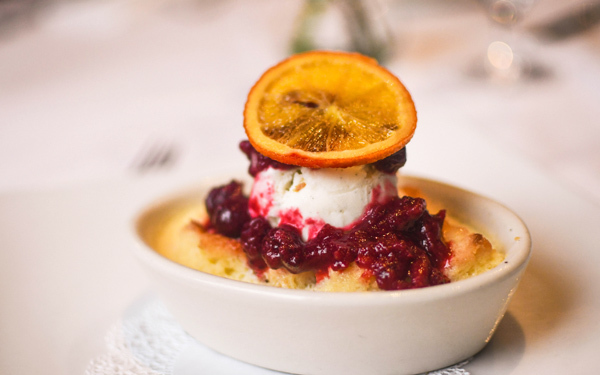 It's served warm and topped with vanilla ice cream and garnished with a candied orange slice.